Jersey City, NJ – Jan. 24, 2019 – TrialScope, the global leader in clinical trial transparency and compliance solutions, today announced that its Chief Strategy Officer, Thomas Wicks, will present at the 6th annual Clinical Trial Disclosure and Transparency conference. 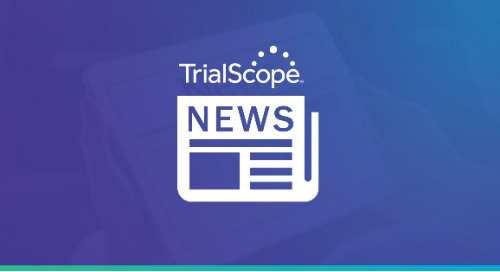 TrialScope is a sponsor of the event, which will be held Jan. 29-30 in Philadelphia. Wicks also will conduct a joint presentation with Julie Wood, Director of Strategy and Operations for Vivli. Their presentation, “The Disclosure and Data Sharing Lifecycle,” will be held at 9:30 a.m. ET Jan. 30.